Photo Credit: Evolve Mobility. With permission to use. 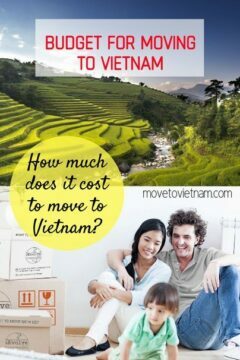 After we discussed the reason for moving to Vietnam, cost of living, and the best city to live in Vietnam, let’s talk about the budget you should have for moving. Personally, I find having the set of a budget when moving can be tricky. How much will the deposit for the apartment be? How about the bills and expenses for the first few months since getting yourself familiar in a new environment can be expensive. Simple mistake like shopping in the wrong grocery store or taking a taxi after you give up finding your way home can cause a few extra dollars or in this case Vietnamese dong out of your budget. I remember when I first moved to Ho Chi Minh City, I was doing my grocery in the nearest shop, although the prices were not so bad, later on, I realised it was actually pretty steep compared to bigger supermarkets. I also took a taxi motorbike almost everywhere every time I get lost walking around. 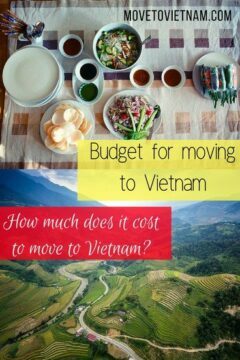 If you are ready to move to Vietnam but still unsure who much budget is enough before you actually jump on this life changing decision, this article can give you an idea on that dilemma. Would $5,000 USD be enough? How long $10,000 USD can last me until I find a job? Hopefully, we can answer if not all, at least some major questions you have. HOW MUCH IS THE RENT IN VIETNAM? How much is the deposit for the apartment? Before anything else, the first thing you need to do is secure a visa. Either you are getting a business visa or a tourist visa, you need to know how much you have to spend here because it differs depending on your nationality. It ranges between free (because you might not need a visa if you are only staying for less than a month) to $200 or more. You can find more information about visa types or how to apply for a visa. To give you a quick idea, you may check the table below. This question was thoroughly answered on our article about cost of living in Vietnam. But to give you an estimate answer, a shared apartment is between $220-$350. A studio apartment is from $350, an entire apartment ranges between $400 and up while a house with garden starts from $600. The prices varies depending on the location and the size of the apartment or house. 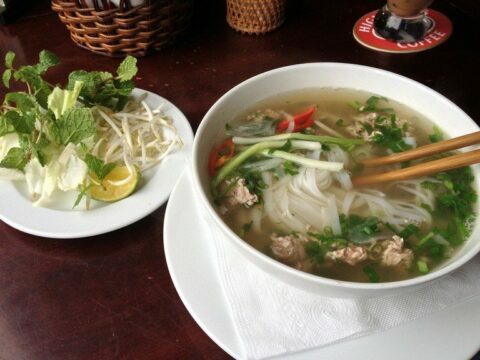 Some expats says it's cheaper in Hanoi some says Ho Chi Minh is more affordable. I've lived in both, in my experience I feel like Hanoi is cheaper but the quality of apartments in Ho Chi Minh is better. Smaller cities like Hoi An, Hue, Da Nang, Nha Trang, and Mui Ne can be cheaper than Hanoi or Ho Chi Minh City. Finding an apartment in Vietnam may take some time depending on which time of the year you arrive. You can find more information about finding an apartment in Vietnam here or check our recommendation for best Vietnam hostels, a place to stay while you are looking for an apartment without spending too much. The normal rule for signing and moving to a new apartment is that you pay one-month deposit and one-month advance. This may differ in every landlord and/or cities. 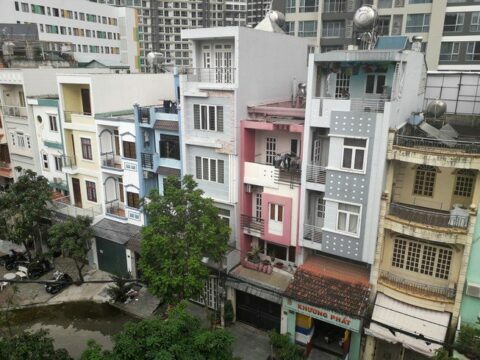 My apartment that time was a shared one, I was paying $239 or 5,449,797.50 VND. Therefore, I had to pay $478 or 10,899,595.00 VND, this was in Ho Chi Minh City. Depending on the length of your contract, some landlords may ask for two-months deposit and one-month advance. It’s safe to say to have at least $600 if you are going to move to a shared apartment with six months contract. Like what I mentioned, finding the most suitable grocery for you can be a little work. You will more likely to be uncertain with the prices of the basic needs which can lead to an expensive first month of your stay. If you later on figure out that you spent too much, don’t be hard on yourself and just move on. I was spending about $20 (456,050.00 VND) for a week food budget where I shop in big supermarkets. In case you moved to Vietnam without securing a job yet, be prepared that this will cost you some money. Let say it will take a month for you to land a job, this will cost you a month of expense that will be deducted right at your savings or budget without making any income. If you are qualified, you can also get an English teaching job, however, the good ones can take some time. Here, you can read more about teaching English in Vietnam. Living in a new city or country is exciting, you will surely find yourself in a situation where you will be spending a little to much, especially on alcohol and food. If you convert the food and alcohol cost to the currency back home, it can look a lot cheaper. However, as these “luxury” piles up, you can see that it is costing you money. Prepare to spend about $100 to $150 per week for transportation, eating out and drinking out. Check out our article about transportation in Vietnam to have a better idea how locals and expats get around. If you arrive in during summer, you will more likely be using the air-conditioner a little too often to cool off. Generally, the bills are not that expensive. We were paying about $30 a month (we are two people - my boyfriend and I). We use the air-conditioner every night but have it turned off during the day when it's not too hot. In $30, this includes the electricity, common bills (for your building or electricity and water for the common area), internet, and three times a week cleaning service. If you are using a moving company, that can also add up on your budget, so budget wisely! 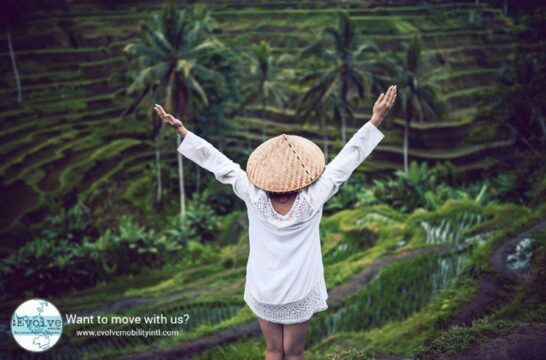 We recommend you read this checklist for packing and getting ready to move to Vietnam, you can also download our printable checklist. Your budget for moving to Vietnam is all down to your own discipline, it’s easy to spend $3000 in your first month while it’s also possible to spend $900 as well. The first month can be expensive because of the deposit you need to pay for apartment and motorbike. Although it’s easy to go by in Vietnam even you are broke, believe me, it’s not the life you want to have especially in a foreign country where rules can be different in every corner. I hope you find this article useful or at least answered some of your questions. If you are bringing you pet with you, check out our Pets in Vietnam article.